On October 22, 2018, YouTube’s most successful content creators came together for the eighth Annual Streamy Awards at the Beverly Hilton in Los Angeles, CA. The Streamy Awards, created in 2010, is an award show designed to celebrate and appreciate the best in online video creation. Monday night’s show was streamed live on YouTube. 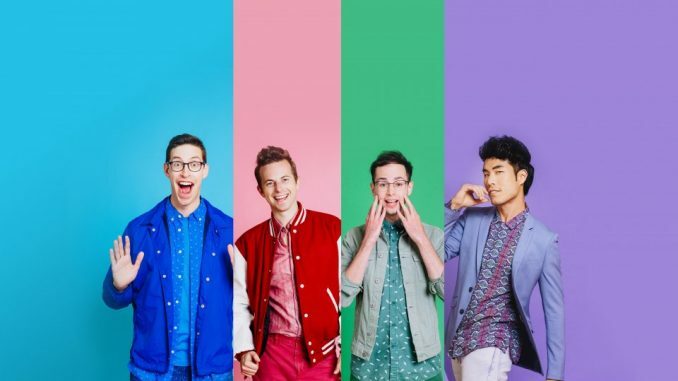 Hosted by BuzzFeed’s “Try Guys,” the night opened with a song performed by the four hosts, Keith Habersberger, Ned Fulmer, Zach Kornfeld, and Eugene Lee Yang. The song argued the Streamy Awards be regarded in the same tier as the Emmy, Grammy, Oscar, and Tony Awards, even including the line, “video killed the radio star, but internet saved the radio star.” Yang even performed in full drag for the entirety of the awards show. The night continued as YouTube personalities such as Kalen Allen, BlameItOnKway, Molly Burke, Dobre Brothers, Miles Brown, Sofie Dossi, and many more presented awards to equally talented nominees. The first award of the night was the “First Person” award, and of the five talented nominees, David Dobrik managed to bring it home. At this year’s Streamy’s, a new award was given out: the “Milk-Bone Dog of the Year Honor.” It was given to a select puppy to promote dog adoption from Milk-Bone. Gus Kenworthy, an Olympic skier, presented the award and shared his story of adoption, urging others to adopt dogs from Milk-Bone, like the one he brought on stage with him, a small puppy named Mikey. There were three stories shared, but the winner of the “Milk-Bone Dog of the Year Honor” was Todd, a dog who heroically saved his owner from a snake. Todd was bitten in the attack, but thankfully survived.